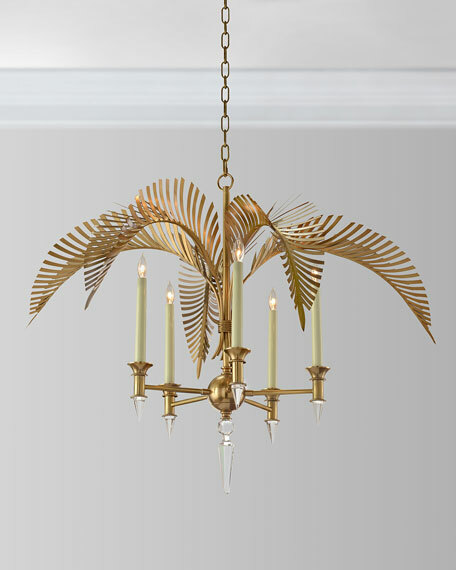 Handcrafted five-light brass palm frond chandelier with crystal accents. .
Includes one 7.5"L and five 2.5"L crystals. Uses five 60-watt type-B bulbs. Weight, 20 lbs. Boxed weight, approximately 46 lbs.